The backer board for this pattern is 17 inches long. The fret work is a little over 15 inches. I'm sure there are a few cowboys out there that can relate to this pattern. Sorry the image is so small. It had to be that small to fit on the blog page. If you want to see a better picture just download and open the pattern. I will be working on updating the $3 PDF catalog in the next couple of days. I have about 60 pattern to add to the PDF. I'll let you know when the update is ready so those of you who purchased it can get the update. 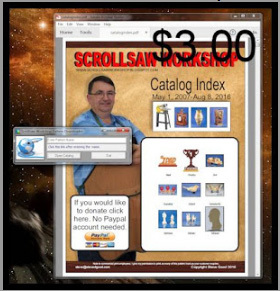 If you are not familiar with the $3 PDF catalog then let me briefly explain what it is. 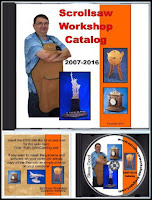 All my patterns for the last 10+ years are in my free online catalog. You can always go there to search for patterns for free. The $3 PDF catalog is just a supplement to make that free online catalog easier to browse. I have included a thumbnail image of every pattern in the PDF. You can easily browse through the PDF to find a pattern. You then type the name of that pattern into the included downloader and the pattern will download to your computer. You do not need this $3 catalog. It is just an easier way to browse the patterns. There is a video on the purchase page that explains how it works. I am all caught up on orders. I will continue to take orders for a few more days. 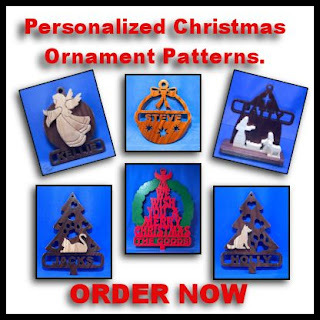 order more ornament patterns you may want to bookmark the order page. Thanks to everyone for another successful Personalized Ornament Pattern making year for me. on tree for years to come. Stephen over at Bear Woods is in the Christmas Spirit. He wants to have three winners for this months giveaway. I'm feeling the spirit also so I will double that offer. 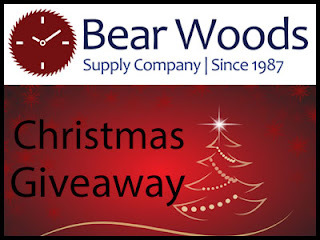 I will give a Bear Woods $25 gift certificate to each winner also. 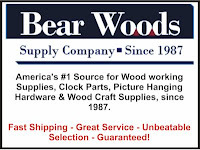 That's $50 worth of goodies from Bear Woods. You can enter once each day. 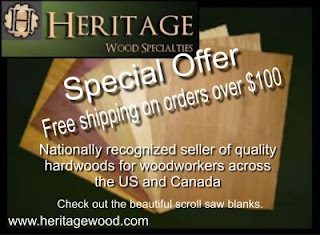 Click to visit the all new designed Heritage Woods web site. The new site is now iPad and mobile friendly. Don't forget their limited time offer of free shipping on order over $100. This offer will probably end so so don't get left out. Need a Christmas gift for the woodworker in your life? How about a Wooden keyboard and mouse.